The globalization of manufacturing has radically transformed how supply chains are built. As a result, tomorrow's supply networks will need to be more strategic, resilient, sustainable, and customer-focused. Over the last two decades, many leading firms have adopted continuous improvement programs across their production and supply chain operations and achieved impressive reductions in plant downtime, site inventory, and lead-times. However, these improvement initiatives were traditionally focused on the production plant within a single, largely vertically-integrated supply chain that extended only as far as the interfaces between the factory, the firm, and, at best, its first-tier suppliers. During the same period, the globalization of manufacturing has demanded radical changes in supply chain structures. Supply chains have been transformed into complex networks as firms have focused on their core capabilities and sought to work with specialist technical suppliers and firms with various location and, perhaps most significantly over the last decade, low-cost labor advantages. As a result, product supply chains that were previously dominated by a single firm have become highly fragmented, distributed networks with activities globally dispersed amongst a web of industrial players. The need now is to continually evolve and better manage the operational footprint of the extended and distributed global network - a challenge that is fundamentally redefining 21st century supply chains. An effective global value chain needs to consider monetary flows such as cost and revenue in addition to the traditional supply chain focus on the flow of materials and information. Critical considerations in both types of analysis, of course, are knowledge flows that can determine whether co-location is necessary, as in the case of tacit knowledge, or whether operations can be easily dispersed, where knowledge can be made explicit. (See Figure 1). 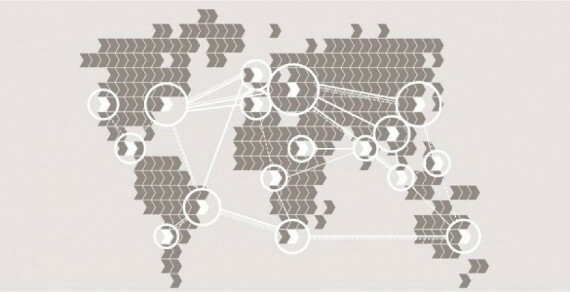 Figure 1 - Global value networks go beyond traditional flows of materials and information alone. They highlight where real business value lies for the company. One key phenomenon that has redefined today’s supply chains, and hence the vital task of designing an effective global supply network, has been the extension of boundaries beyond the traditional firm and its tier 1 suppliers and customers. Supply chain analysis and design helps firms understand how to better integrate the processes needed to deliver goods and services in a timely, responsive, and cost-effective manner. But today, it is no longer good enough just to consider the immediate customer in the chain. Companies now need to look at their full end-to-end supply chain and assess the effectiveness of this newly extended network. For example, pharmaceutical firms now consider patient outcomes and compliance with treatment regimes to be paramount; they are not simply concerned with on-time, in-full delivery of the physical product to the distributor. Similarly, aerospace firms measure their success through the reliable provision of aircraft flying hours. Entertainment firms consider the ‘play’ experience of their young customers. Companies involved in the supply of consumer goods manage their designated retail aisles to optimize in-store delivery. Food supply chains, which are particularly vulnerable to authenticity issues and the perishability of materials, may adopt a ‘seed-to-shelf’ model or even a ‘farm-to-fork’ model, which extends all the way to the final consumer. This end-to-end approach often requires a different set of performance metrics and better integration of processes and information systems. As complexity increases, network designers will have to consider how manufacturing systems can be designed to support a variety of supply chain replenishment models, rather than a one-size fits all model, with each supply model serving different markets and market dynamics. In the future, these models will increasingly involve elements of self-adapting sub-networks, where part-autonomous systems respond to new information, reconfiguring operations or supply routines without human interventions. (See Figure 2). In the design of these manufacturing networks, the product and the production processes are usually seen as the purview of R&D and process engineering teams. The operational design task simply recognizes these as system constraints. At the margins, small changes may be accommodated. For example, the stackability of products on pallets or containers would be a common supply-driven design input. In reality, however, these inputs are modest in impact and the integration of new product development issues in the chain remains difficult to manage. Recent research, however, suggests that supply chains might themselves redefine product design or even the production technology used to manufacture products. This approach considers the end-to-end supply chain requirements as key design criteria in initial technology selection, or technology development, rather than assuming these are fixed parameters. This proactive approach can result in advanced production facilities that deliver new and different options in terms of scale, flexibility, and variety options as companies strive to better serve the market or end users. Hence, the emergence of new technologies should now be seen by supply chain designers as value creating opportunities for redefining their supply chains. Latest research directions in the development of novel manufacturing technologies within aerospace (additive manufacturing), FMCG (on-demand), and pharmaceuticals (continuous flow) are being influenced at least as much by the industrial supply chain opportunities they might deliver, such as the ability to provide multiple-scale distributed manufacturing models, as well as the potential benefits in product functionality. Although network design has always extended across supply networks, in the past this was predominantly limited to first-tier suppliers and customers. At the broader businessunit level, globalization and advances in communication and IT have meant that many firms have also undergone functional slicing and no longer have complete business units operating in a particular geographical location, but have their different functional activities increasingly dispersed internationally and managed regionally or globally. Within manufacturing operations, vertical disaggregation, often driven by waves of outsourcing, has also meant that the task of manufacturing network design has now become predominantly an inter- firm activity, involving supply network design considerations, but also requiring inter-functional understanding that considers the activities across the whole value chain as well as the broader value network of external partners and customers. The network design task has therefore become a more strategic activity for manufacturing companies, one that requires understanding of the coupling requirements across and between value chain activities in terms of the transferability of knowledge, processes, and materials. The approach extends to defining the activities firms regard as core and how they might best integrate external capabilities in a more networked and distributed model. New corporate strategy roles responsible for network design are now emerging as firms reconfigure their operations on an almost continual basis. Location decisions remain vital in this design task, often requiring close attention to location-specific political, regulatory, and social aspects. This requires a new set of skills for corporate strategists, who must now take a much broader view of the business and the impact of network design decisions on the extended value network. To support their changing role, the supply network design tools of the future will also need to support more strategic integration across all value chain activities. Even the dynamics of internationalization itself have changed with the recognition that in the case of developed countries, both off-shoring and re-shoring trends are now at play. In the case of emerging country multinationals, internationalization will invariably not seek out simply low-cost resources, but rather competitively vital access to markets or know-how. The consideration of risk factors beyond traditional security of supply issues has also become an important supply network design criterion as, for example, some industry sectors increasingly insist on traceability and product assurance (food, aerospace products) or the need to recognize resource scarcity (rare earth metals, water), while still contending with the fragmented character of most modern manufacturing systems. A better understanding of risk and resilience perspectives is now informing both network design and location decisions by evaluating interactions between lead and partner firms, second suppliers, and exposure to external risk events, such as extreme climate hot spots. For example, by exploiting the latest advances in network modelling, companies can now look at integrating supply network footprint models with climate and earthquake data so that risk profiles take account of potentially disruptive external factors. Some firms have already re-visited their risk exposure and relocated operations; for example, re-shoring their own factories closer to their home markets or, in the case of one manufacturer, replacing a second supplier so they now have a secure back-up elsewhere to avoid potential problems of same-location earthquake risk. Sustainability of operations has already become a critical network design criteria in many sectors. The limited availability of materials over the long term, energy consumption, or pressure from consumers or regulators may all be factors that ensure this new dimension is addressed by network designers on an equal footing with the traditional factors of cost, quality, flexibility, and timely and dependable delivery. Sustainability factors will increasingly demand consideration of resource scarcity, while closed-loop manufacturing models will increasingly encourage material reuse. Production technologies that support alternative scale manufacturing, and more benign production conditions without the need for solvents – such as continuous processing in pharmaceuticals – will facilitate closer-to-market manufacturing with shorter supply chains that consume less energy and generate less waste and emissions. As real-time information systems continue to develop and are routinely used by customers, last-mile solutions are emerging that help industry capture market trends and individual consumer habits electronically and respond more rapidly to consumer purchases. As ubiquitous new ‘apps’ allow consumers to interact with their last-mile suppliers instantly and directly, more and more pressure is put on response times. Future network design will aim to respond to these near real-time demands, and inevitably drive last-mile distribution strategies that can support more customized solutions. In these e-commerce models, the concept of the bricks-and-mortar retail outlet is being transformed, with the shop window becoming the laptop screen or the mobile ‘app’ and stock becoming a visual representation that need not actually exist until ordered. Within the B2C environment, replenishment models, choice/SKU-variety, and speed become key differentiators, with increasingly personal data enabling targeted marketing opportunities. In the B2B context, consolidation of just-in-time deliveries to reduce congestion and downtime will generate institutional and societal benefits, but will probably require support from policymakers to be viable. (See Figure 3). In progressive last-mile logistics models, three key interlinked perspectives therefore need to be considered. Firstly, the broader urban context is represented as the (top) institutional layer, where regulation can promote societal benefits such as requiring lower emissions and congestion from novel last-mile solutions. The (middle) industrial layer identifies the optimum flow of materials, information, and value that will determine consolidation center location, lead times, and the transport routes to use. Finally, the (lower) consumer layer is focused on the consumer need and service delivery experience in terms of service quality and flexibility (e.g. time slot, multi-package drop). The interdependencies between these layers is perhaps best exemplified by firms operating product or waste ‘reverse loop chains’ where often the consumer industrial- institutional perspectives all need to be closely aligned. The returning of packaging, obsolete equipment, or used consumables (e.g. from small ink cartridges to large gas cylinders!) back to the original manufacturer for re-use/recycle is now common in many sectors, invariably requiring new regulations and standards between industry and governing institutions. Redefining today’s supply chains will require new network design rules where configuration choices embrace a more disaggregated global network, extend boundaries to consider multiple-tier structures, and encompass sub-systems that impact end-to-end product/ service delivery. This can be achieved by corporate supply chain strategists adopting a more value-driven, global network perspective; extending their strategic planning boundaries to consider intermediate players; the end-to-end impact through to the end-user; and by proactively informing the forward research and technology development agenda. In so doing, network designers may need to take a higher-level ‘system of systems’ perspective. The availability of material resources will drive more companies to consider closed-loop systems that support the re-use of materials and to align with changing institutional pressures and consumer sentiment. Supply security, and managing the risks involved in an extended network, will require designers to build in resilience and understand exposure through the integration of internal information systems and external market and locational data sets. More real-time information systems will support more adaptive networks that respond faster to demand data and events, driving more customized solutions. New global value networks will require a transformational shift in the configuration of future supply chains that goes beyond the optimization of factory operations but also embraces, and proactively sets, both the technology agenda and the design of novel business models. While adopting these new design and reconfiguration approaches may represent a significant challenge for many companies, those that embrace these methodologies are likely to benefit from performance gains that significantly outstrip the single enterprise, continuous improvement approaches of the past, and will create more future-proof value chains that can support their sustained growth and expansion in the decades ahead.